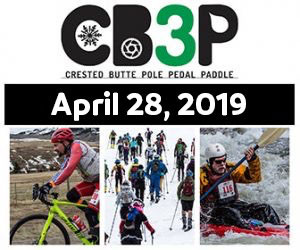 SheJumps is teaming up with locally owned guide service, Colorado Backcountry for this new event in Crested Butte, CO. This event will be a ski touring day, just for ladies, located in the Crested Butte backcountry. Colorado Backcountry is Crested Butte’s only locally owned guide service. They have a meticulously selected team of guides who love the mountains of Crested Butte, and love to share them responsibly, respectfully, and privately. They practice minimal impact travel and work to maximize your connection to the mountains and wildlife. Specializing in custom trips, Colorado Backcountry scales the day’s objectives to you. They offer a spectrum of activities from relaxing and scenic family outings, high value skills clinics, and multi-day mountain traverses. SheJumps is thrilled to team up with this group of guides for a fun and empowering day in the mountains. This ladies backcountry day will cultivate learning, empowerment, confidence and fun. This day is specifically designed for ladies who want to get into the backcountry in the winter, adventure with their buddies, and shred pow, all while avoiding avalanche terrain. We will spend the day improving our route planning and terrain selection skills, learning how to set sweet skin tracks, mastering our gear, shredding backcountry pow, meeting like-minded ladies and more. Required Equipment: Backpack, beacon, shovel, probe, either ski touring skis with appropriate boots and skins or split board with appropriate boots and skins, non-cotton clothing layers that include snow pants, warm and waterproof jacket, gloves or mittens, hat, sunscreen, lunch, water. If you are looking for a place to rent any of this equipment, The Alpineer in town does full set ups. Just plan ahead, because they can run out. Prior Experience: Please note that prior skiing/riding experience is required for this course. You should at least be a comfortable intermediate skier/rider at the resort in variable blue-black terrain. This course will be focused mainly on backcountry skills, and while we may be able to help you with some technique, the backcountry is not the place to learn how to ski/ride. Consider that you want to be able remain upright as best you can in avalanche terrain. If you have any questions regarding prior experience and ability, please do not hesitate to contact us. From Colorado Backcountry: We have been big admirers of SheJumps for many years. We wholeheartedly support the SheJumps mission of getting girls (of all ages and abilities) into the outdoors and providing them with the support, programming, and connections needed to get there. And, we love the Girafficorn logo. SheJumps is thrilled to have the opportunity to work with this local company. Crested Butte has a thriving backcountry ski community, and SheJumps hopes to help make that community accessible to all ladies and locals. New to backcountry skiing? Want to improve and practice your backcountry skills and receive professional feedback? Want to meet like-minded, inspiring ladies? If the answer is yes, then this is the course for you! SheJumps increases the participation of women and girls in outdoor activities to foster confidence, leadership, and connection to nature and community through free and low-cost outdoor education. We believe in increasing diversity in the outdoors and providing ALL women and girls with the spark that will lead to a lifetime of outdoor learning and empowerment. We welcome all women and girls (transgender and cisgender) as well as non-binary people who identify with the women’s community.